When you’re not feeling like mixing seven different types of flour together, having a great baking mix or two in your cabinet can just about save your sanity. 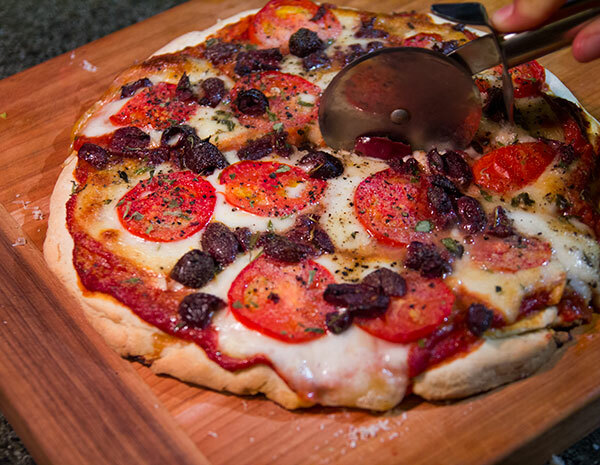 You want to make a pizza but you’re sick of pulling cardboard-like crusts out of the freezer at the grocery and the last two gluten free pizza crust recipes you tried from scratch did not work. This is where Jessica Kahn’s new company kitch+table comes in. Jessica spent the past couple years experimenting with recipes for the gluten challenged, and I’ve been lucky enough be do some of the taste testing along the way. The brand new company just launched with two fool proof gluten free mixes that everyone should have on hand. kitch+table’s pizza crust mix is the closest thing I’ve had to deep dish pizza in almost a decade. Most pre-made gluten free crusts tend to be on the thin side, so it’s refreshing to take a bite of pizza where the bready part is really there. 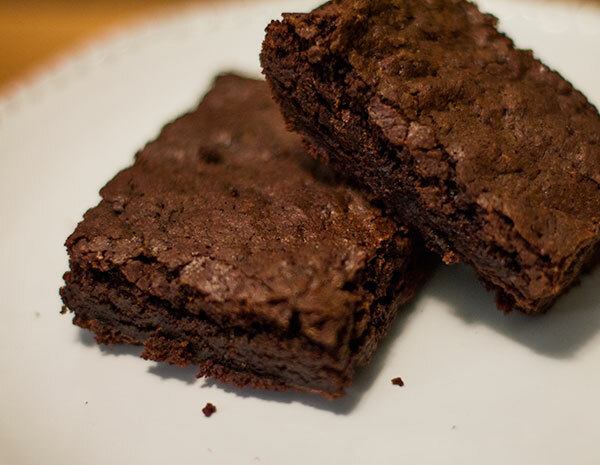 It’s so easy to make, especially if you’ve got a stand mixer. 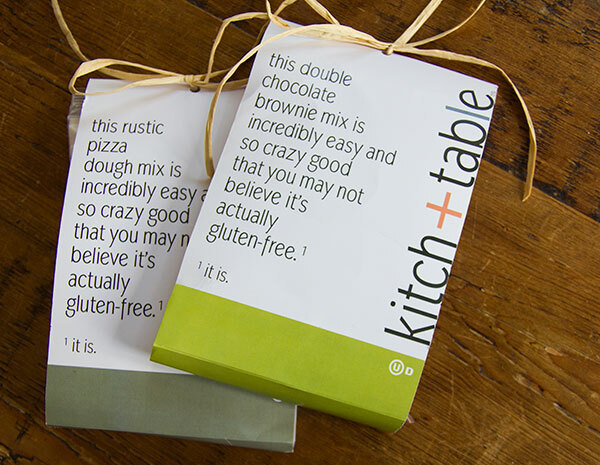 Gluten free or not, kitch+table’s double chocolate brownie mix has to be one of the best brownie mixes you can buy. You, nor your friends would ever know the difference. I’ll let the above photo take it from here. Hi! I just found your blog and I can’t get enough! I also live in SF and am Gluten-Free and am constantly trying to find new products, restaurants, and recipes. Can’t wait to read more! Susan, I’m so sorry to hear that! I followed the directions exactly as the package read and didn’t have any trouble with the crust. I would consult with kitch+table for assistance with the product! It’s a shame their pizza crust isn’t dairy free. Lots of gluten sensitive folk also can’t deal with milk. And pizza crust with milk is pretty unusual. I’m assuming that’s part of what is making this crust extra good though. What happened to http://www.kitchandtable.com? I ordered several pizza dough mixes last year but noticed the web domain is up. Does anyone know if they are still producing their pizza dough mixes? Contact info?